Eckel’s Supersoft Test Chambers offer a practical and economical alternative for many hemi-anechoic testing applications. 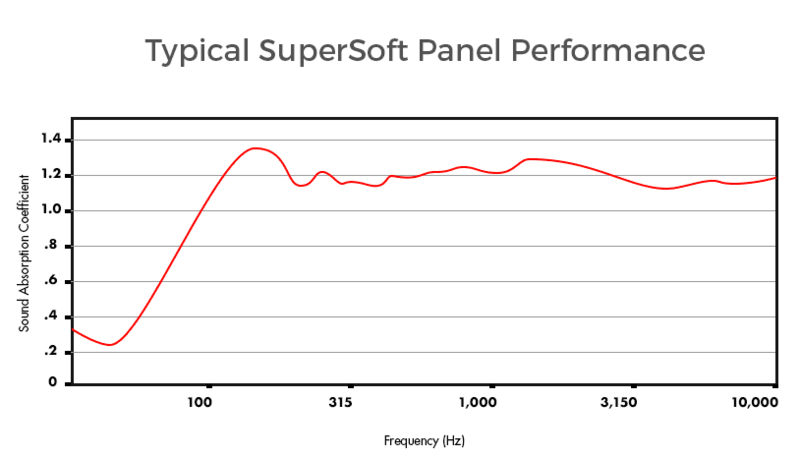 Supersoft chambers utilize proprietary low-profile corrugated panels as the interior acoustic treatment to achieve baseline performance that meets ISO 3744 test standards and can also be engineered to meet lab grade testing criteria of ISO 3745. SuperSoft panel linings can be installed in a new or existing structure. They cover the walls and ceiling using a track and batten system. Fill density and panel spacing from the walls determine the acoustic performance. The “V” ridge facing design of the perforated metal panels enhances acoustic performance by reflecting unabsorbed energy back into the acoustic treatment rather then back into the host room. SuperSoft chambers are suitable for a range of acoustic test facility projects where a lab grade full or hemi-anechoic chamber is not needed or is cost-prohibitive. They are particularly useful for testing products that will be used on a solid surface, such as vehicles, construction machinery and major appliances.